Furnish the skills of fresher/Experienced at corporate by delivering industry admirable certification for Python training. Complete practical training by expert Sr. Lead Analyst/Technical Analyst With having 10+ Years of experience. Placement assistance would be 100% after completion of 70% Python training our dedicated placement team arrange interview till placement. Python is a high level, object oriented and general purpose programming language which is used by millions of organizations for various purposes such as software testing, infrastructure automation, web development, cloud computing, big data and Hadoop and data science. It is a very powerful yet user friendly programming language as it uses English keywords with less syntactical constructions as compare to other programming languages, making it much readable. Python is mainly used for data management and data manipulation purposes as it widely considered as one of the most effective programming tool used by data miners and data scientists. Therefore, if you have an interest in pursuing a career in the Data Analysis and Data Management field, then acquiring skills in Python can prove to be highly beneficial for your career. At SLA Consultants Gurgaon, we provide the most relevant and industry standard knowledge to candidates in the Python programming language through our rigorous and wide Python Training in Gurgaon/Gurugram. We understand the importance of data mining and data management and thus designed this exceptional Python Training Program that allows the participants to learn about Python programming language and how it can be used to handle large amount of data. Therefore, if you are as aspiring data manager and wants to learn Python programming tool to give you career a boost, then join our feature rich and Job Oriented Training Program in Gurgaon/Gurugram. Python Programming Language is quite popular among data scientists and data managers due to its extensive benefits. It uses elegant syntax which makes it easier to read and write codes. It is also ideal for developing prototype and ad-hoc programming tasks and can run almost anywhere such as Windows, Linux, Unix, Mac OS and mobile platforms such as iOS and Android. The Python Training Course Provided by SLA Consultants Gurgaon offers Real-time and practical knowledge in the field and helps the candidates to become a professional in a very short period of time. The High-end Training in Python covers all the major topics in the field such as programming with Python, flow control, sequence data, functions, errors and exception handling, importing and exporting data, data manipulation and data analysis, data structures and regular expressions and live practical sessions. The training is targeted towards fresher college graduates and working professionals who aspires to either achieve growth in their career or learn valuable data management skills to contribute more to their business company. The responsive and Job oriented Training will also teach the students on how to build logics, coding in Python to develop applications, store and retrieve data, build blocks and use tuples and dictionaries efficiently. Anyone with a graduate degree in the IT field can pursue the training. There are no specific criteria such as technical background or prior programming skills to join the course. The high quality training consists of various innovative features such as highly certified and corporate trainers with years of experience, Real-time Python Live Practical Training, instructor led classroom, projects and assignments on real world companies, wide admin support and 100% Job Placement Assistance. It is a universal fact that Data Mining and Data Manipulation are some of the most important business operations at any business organizations. There are many tools available in the market that perform these operations with full efficiency, however, none are as worthy as Python Programming Language. Being a programming tool, Python develops interfaces and applications that command the database to perform several activities such as storing, updating or deleting data and representing it in graphical manner. This is the main reason why data scientists and data managers use this tool on a regular basis. If you want to know more reasons on why you should learn Python programming tool, then below are provided some valid reasons to consider. There is a huge requirement for data managers and data analysts in the upcoming future and the gap between the requirement and the available professionals are big. Thus, you can take advantage of this opportunity and grab a successful career in the field easily. There is a high job growth opportunity with learning Python skills as you will be able to perform data manipulation and data mining activities with fluency, allowing you to become a right candidate for data manager in a few years. 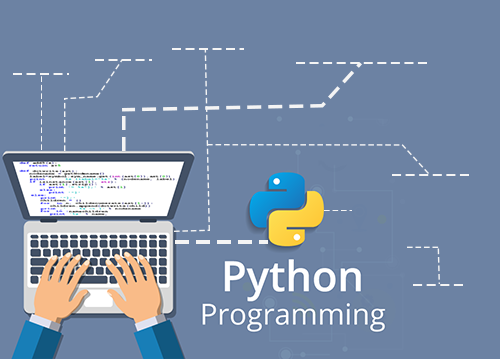 By acquiring skills in Python language, you can also pursue many other job profiles such as software engineer, Python programmer, data analyst, data scientist, data manger, etc. You will also be able to earn a higher pay scale that any of your peers as the average salary for a Python programmer is around 5 lakh per annum. Find the Python course details below. Python is a high level and object oriented programming language used for various purposes which include data management. It is highly flexible, easy to use and user friendly language. Who will be the trainers for the Python training? The trainers are highly skilled and certified instructors with over a decade of experience in the field. In which sector I will be able to pursue a career after Python training? You can pursue a career in almost every sector from banking and finance to education, sales and retail, marketing and healthcare after acquiring skills in Python. We will arrange a backup class for the candidates who missed any session due to any reason. Backup classes can also be scheduled for leaners who couldn’t properly grasp a topic in the earlier session. I don't have any programming skills. Can I still pursue the Python training? Yes, there is no need to have a technical background to learn Python and you can easily register for the course at SLA. I cannot visit Gurgaon for the classes as it too far from my residence. Is there any alternative? Yes, you can register for our online course where video tutorials will be provided. Or you can simply register at our Delhi or Noida branch.